This is going to be the longest project on my website. I am attempting to create a full episode guide with accompanying pictures AND summaries! It'll be a long process, but when it's done...IT WILL ROCK! This project will only feature the Japanese version. These pictures will only be available on this part of the website. Keep checking for updates! One of the artists designing the new Sailor V movie is targeted by the Nephrite and grows jealous of her best friend's superior drawing skills. 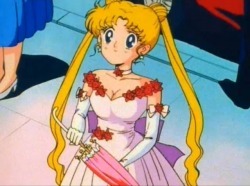 Usagi goes to a masquerade ball to search for Princess Diamond; the hostess of the the ball who is putatively Princess Serenity. Nephrite attempts to use Naru and the princess in another ploy. 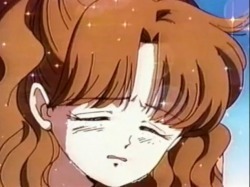 Usagi tries to convince Naru that Nephrite is evil, but she refuses to believe her. 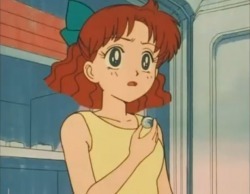 Nephrite takes advantage of Naru's ingenuous love for him by tricking her into stealing a priceless crystal for the Negaverse. 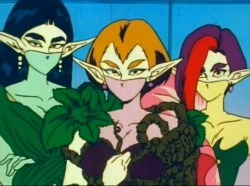 Kunzite believes Nephrite's rising affection for Naru is a sign of weakness, so he sends a team of female soldiers from the Negaforce to kill him, much to Naru's dismay. A new, muscular girl named Makoto Kino is discovered to be the fourth Sailor Senshi: Sailor Jupiter. 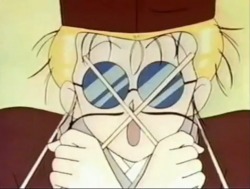 She and Usagi both fall for a skill-crane master that holds the first of the Seven Rainbow Crystals. Usagi tries to lift Naru's spirits by bringing her to see Yokohama. There they find a priest that holds the second Rainbow Crystal. Mamoru discovers that he is Tuxedo Mask. 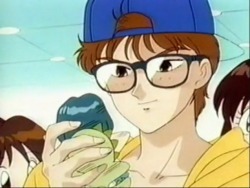 One of Ami's close friends with clairvoyant vision is discovered to hold the next Rainbow Crystal. He has a crush on her, but is also aware he is one of the holders. Episode 28: Illusions of Love, Are Usagi and Mamoru Getting Closer? 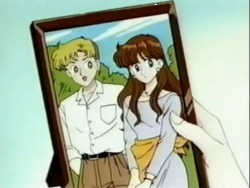 Usagi and Mamoru are invited to pose together by a famous artist. The Negaverse discovers she is one of the Rainbow Crystal carriers and take advantage. 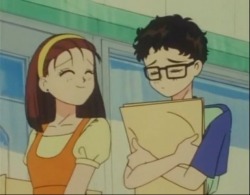 Motoki draws the attention of both Makoto and Usagi. 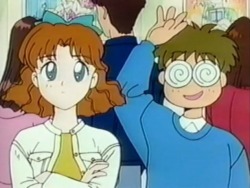 The two grow jealous o Motoki's girlfriend, who happens to be another Rainbow Crystal carriers. Rei's grandpa begins to act frantic and crazy when he is discovered to hold one of the Rainbow Crystals. A man falls in love with Rei, so he requests to stay in their shrine. 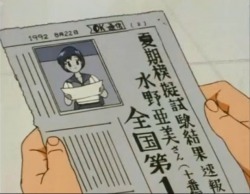 Usagi tries to "investigate" Rei's relationship with the new boy.